Bukhave: "...No he is lying! It's TOKIO HOTEL!" Just a quick update to say hey and WE FREAKING WON! I have to admit that i did not think we had a big chance against the belibers, directioners and what every the other fanbases is named, but we did it! The Aliens won the biggest fan award at the MTV EMA 2013 which is still going on in Amsterdam right now. 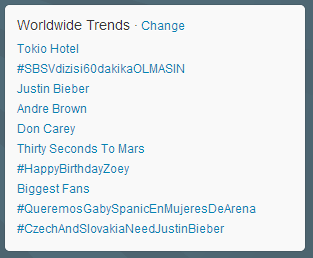 But Congratulations to Tokio Hotel, to the Aliens and to us! Cheers! "There is the nominees, but who will walk away with the price? Will you do the honor? You have the envelope."